length of revolution for a year? Where do asteroids originate from? 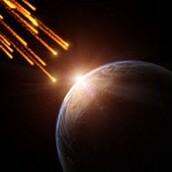 Scientist think that asteroids originated from the Big Bang. They say that asteroids are the dwarf planets. What are the size of asteroids? 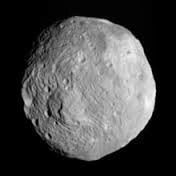 asteroids range in from Ceres which is the largest at about 590 miles in diameter. to bodies that are less than 0.6 miles across. 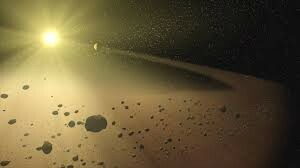 Only one asteroid named Chariklo is known to have two dense and narrow rings. what are distinguishing characteristics about asteriods? 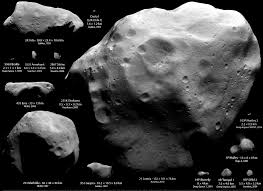 Asteroids have many characteristics but I am only naming three. 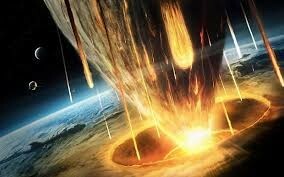 there is that asteroids have craters in them. At least a hundred of them weigh less then the Earths moon. Also many are made from many things that are on the earth like clay and nickel iron. One mission that explored asteroids was Hayabusa which launched in 2010 and brought the first asteroid part back to earth. Another mission named Hayabusa 2 was launched in 2014 and will be returning with another asteroid sample in 2018.